"It is my opinion that too many game advocates spend too much time arguing what games are NOT (not satanic, not harmful, not to be feared), and not enough time arguing what they ARE (educational, inspirational, developmental)." For some time now, educators have been using games to teach. The educational possiblilties in both RPGs and CCGs are numerous; possibly even too numerous to mention here. David Millians, a teacher from Atlanta, Georgia, uses a simple set of live-action roleplaying rules to allow his students to not only learn history, but live it as well. Likewise, roleplaying can teach History, Geography, Current Events, Theology, or many other subjects. Jeff Brain, a teacher from San Francisco, uses Magic: The Gathering cards to teach a number of lessons: database management (in which children build a computer database of a collection of cards organized by various criteria), statistics, even mythology. But you don't need an educator to learn something from a game. By themselves, without an instructor, RPGs and CCGs can educate someone without them even knowing it. Take the Generic Universal Role-Playing System (GURPS), for example. Created by Steve Jackson Games, this system is designed to accomidate any type of role-play, from historical to high fantasy to superheroes to sci-fi. In this system, a character is created by spending points rather than rolling dice. A specific amount of points are assigned to a player, who then begins to spend them on character attributes. Commonly, this number is 100, but if a "heroic" character is being made (such as a superhero or other powerful character), the starting number can be considerably higher. Already, a lesson in proportions is being taught. As the player spends points on attributes (Strength, Dexterity, Health, and Intelligence), skills (such as Pilot Vehicle or Chemistry), and advantages (like Luck, or Nerves of Steel), their remaining points dwindle. The player can (and usually does) purchase disadvantages (such as a phobia, poor eyesight, or a social stigma) to offset the cost of the purchases, or to gain more points to spend on other things. As accounting goes, it is simplistic, but it establishes some of the basic concepts. Magic: The Gathering, the card game that has taken the world by storm, has an important lesson in income management hidden in it's play. In the game, a player uses land cards (forests, islands, mountains, plains, and swamps, as well as others) to generate mana, which is then used to bring other cards into play. Players can (usually) only play one of these land cards per turn, so the resources that are available escalate as play progresses. The player must carefully judge which cards to bring into play, based on their cost in mana, how useful the cards will be in the continuing rounds of the game, and how likely it will be that the opponent will counteract the play. In that decision, the player must also judge how much mana to leave free for other possible plays, since it is possible in Magic to play cards during your opponent's turn. The ability to budget oneself is crucial among the skills of a Magic player. 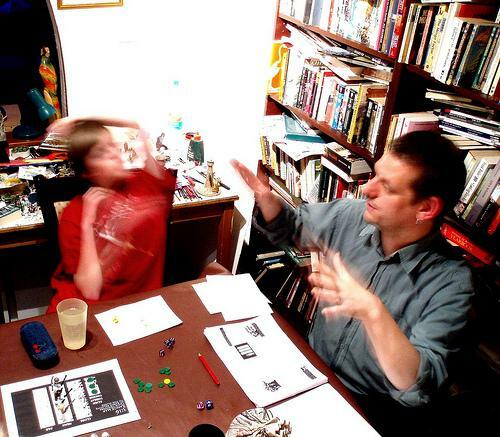 Role-playing games require much in the way of reading; rules are written in books, after all. At it's absolute minimum, a person playing an RPG must at least read enough information to be able to create a character. Someone choosing to referee a game must do a great amount of reading; game rules, setting, history, backstory, plot, character histories and descriptions, all of these must be read before a game can be properly played. It helps a lot if some of the basic facts are memorized, as well. All of this reading and rote memorization is exercise for the mind. RPGs can also involve a bit of writing to go along with all of the reading. Many players write their own character history and background, to help flesh out the persona that they are portraying. A referee who decides to write his own adventure must create a setting, plot, and characters at the very least, and usually ends up getting rather involved in writing an enjoyable story. In both cases, not only are writing skills being developed, but creative ones are as well. More exercise for the mind. Then, there's math. While there is little in the way of geometry or triginometry in the content of the average game, there is an awful lot of basic math, and it is often used in rapid-fire situations, such as combat. 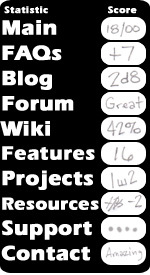 Modifiers to die rolls are added and subtracted until a final target number is reached; percentages of numbers are calculated to determine a number that, if rolled on the die, dictates a critical success or failure; points are subtracted from a pool and added to abilities or skills as a character is being made. These are but a few examples. While it only applies to certain games, the subject of mapmaking bears mentioning. Often, a game will take place in an area where a map is necessary for the players to get a clear idea of their characters' surroundings. 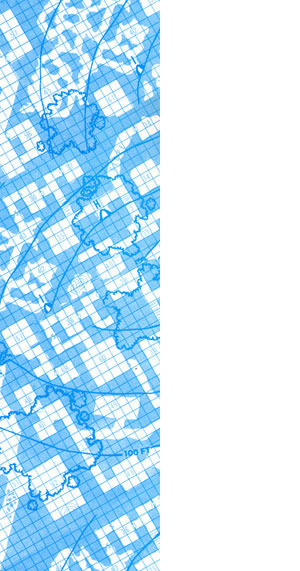 This is usually done on some graph paper, and works best when the referee dictates the directions and dimensions to one of the players who is acting as the mapmaker. This type of activity builds a unique skill that not many can hold claim to. There are no gaming "loners" or "outcasts." Role-playing and collectible card games are played with other gamers. While there can be solitare versions of both, they are rare in the case of RPGs, and extremely so in the case of CCGs. 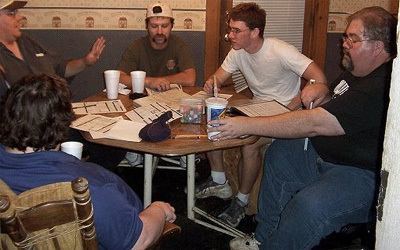 In a typical role-playing game, the participants are usually working together to achieve some kind of goal. During the acquisition of that goal, the players may also compete for resources on behalf of their characters; wealth, fame, and reputation, to name a few. The more concrete of these resources are often split up among the characters. Commonly, there is also the concept of "experience points," which are handed out by the referee to the players as a reward for achieving certain goals, and for exceptional feats of role-playing or storytelling. Therefore, the most common practice of role-playing combines an intricate mix of cooperation and competition. This means that people are playing as a group, working as a team, and even competing against each other to achieve a specific goal. While doing so, they are building real-life relationships to accompany their in-game ones. New friends are made, and old friendships are strenghtened. In a typical collectible card game, the participants are competing directly with each other, although there are many situations in which players can cooperate to defeat other players or achieve certain goals. As mentioned above, it is very rare to find a set of solitare rules for a collectible card game. The gaming convention takes socializing to a whole new level. There, gamers flock to play games, buy new releases in advance, and meet some of their favorite celebrities, both gaming and otherwise. A good-sized con attracts thousands of people, who sign up for games, often weeks ahead of time. There, they are matched up with other players who are interested in the same games, and play with them. In the case of RPGs, these tournaments often have several rounds; when a player advances to the next round, he often ends up playing with an entirely new group of people. CCGs are played similarly, with the player going head-to-head with a new opponent at each turn. The best part of the adventure gaming hobby is the variety of choices that are available... We're not just stuck with Dungeons & Dragons anymore (not that there's anything wrong with a good game of D&D, of course!). If high fantasy is your fancy, you can find many on the market besides D&D... there's Ars Magica, Middle Earth Role-Playing, Earthdawn, Elric!, Warhammer Fantasy Role-Play, and the Palladium Fantasy RPG as well. For those interested in "hard" science fiction, there's Traveller, which has recently (as of this writing) been revived under the GURPS system. For the "soft" sci-fi, there's Star Wars, Alternity, Trinity, and many more. Horror fans can find something to frighten them with Chill, Call of Cthulhu, Kult, or many of the World of Darkness settings. The benefit of many of the horror games is that they take place in a contemporary setting, which makes playing a role a lit easier for those of us who live in the present day. Fans of comic-book or anime style adventures can find solace in Champions, Truth and Justice, Mutants & Masterminds, GURPS Supers, Big Eyes Small Mouth, or the games based on the Bubblegum Crisis and Sailor Moon anime series. If your tastes run to the unusual, you can try many of the "hybrid" settings that have become popular. Shadowrun mixes high fantasy with cyberpunk, with troll computer hackers, elven street mages, and dragons that run for public office. Deadlands mixes horror with the wild west; it's sequel, Hell On Earth takes the setting over two hundred years into it's future, for a mixture of horror, wild west, and Mad Max! Or, you can make your own alternative setting; take two or three GURPS books off of the shelf and turn them into a genre... Aztecs, Dinosaurs, and Space, anyone? For historical settings, you can head right back to good old D&D. TSR once released a series of sourcebooks for playing in different parts of history; Vikings and Charlemagne's Paladins come instantly to mind. The World of Darkness setting also has a series of historical sourcebooks... you can play Vampire or Werewolf in the Dark Ages, Werewolf in the Wild West, Mage in the Renaissance, or Wraith during the Great War. All of this variety comes at a fair price as well. While you can easily go overboard and spend your whole paycheck on gaming books, it is possible to run many an adventure using only a few core books, at around twenty to forty dollars each. Considering that a gaming campaign can last several weeks to several months, that's a very cost-efficient entertainment purchase.